Tesla's problems have wiped billions of dollars off Elon Musk's personal fortune. Tesla is recalling almost half of all the vehicles the company has so far produced, after corroding bolts that could lead to the loss of power steering has forced the company to fix 123,000 of its Model S sedans. The service action comes at a particularly inopportune time for the California carmaker. Tesla’s stock fell by one-third of its value in recent weeks as a result of a series of problems including continued production problems with the Model 3 sedan, financial trouble, and a fatal crash now being probed by federal regulators. 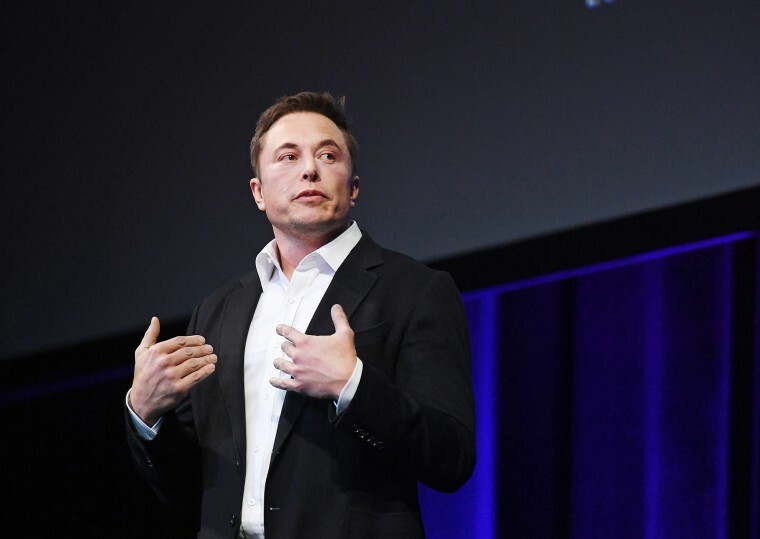 “Reality is setting in,” said Joe Phillippi, head of AutoTrends Consulting, and a long-time Wall Street automotive analyst, as he warned that the sharp decline in Tesla stock might continue. Time magazine reported that Tesla's billionaire CEO Elon Musk has lost 17 percent of his personal fortune just in the last month. Though Tesla shares rebounded slightly on Thursday, they began tumbling in off-hour trading in the wake of the recall announcement. According to an e-mail sent by the company to owners, 123,000 Model S sedans built before April 2016 are equipped with steering bolts that could suffer from excess corrosion. In some cases they may crack or completely fail. This marks the third time the Model S has been recalled since it first came to market, though Tesla told NBC News that this latest recall is related to a part that is "manufactured by a third party (which is also used by other carmakers.)" The sedan and Tesla’s Model X have been involved in several high-profile crashes. businessIs Tesla's Model 3 likely to sink the company? That includes one in 2016 in which a former Navy SEAL was killed; federal safety regulators put some of the blame on the car’s Autopilot system. Another incident potentially involving the semi-autonomous technology occurred earlier this year when a Tesla slammed into a firetruck on a freeway near Los Angeles. The National Transportation Safety Board is now also investigating a crash in which a driver was killed in a Model X earlier this month in Mountain View, California. Though a faulty highway barrier is suspected of playing a role in the latest fatal crash, investors responded by sharply driving down the price of TSLA shares. At the closing bell on Thursday, the price stood at $266.13, down from a 52-week high of $389.61. Overnight trading continued to trend downward after the steering wheel recall was announced. There are plenty of other reasons for concern, said analyst Phillippi, notably including the ongoing struggles Tesla has faced ramping up output of the new Model 3 sedan. That product is critical to the long-term success of a company that has made money during only two quarters since going public. Additionally, reports began to surface from current and former employees who said that what Musk last year called “production hell” at the Tesla plant in Fremont, California has been made worse by serious quality problems with many of the parts and components needed for the Model 3. Then, earlier this week, the Wall Street Journal reported that Tesla burned through $3.4 billion of a shrinking pot of cash last year, increasing investors’ worries that it will either run out of cash or be forced to stage another equity offer this coming year. Musk has tried to maintain Tesla’s lofty reputation by focusing on future plans, including the electric Semi truck, pickup, and roadster models it is developing. But the flood of bad news has put a serious tarnish on the brand just as key competitors like Hyundai, Volkswagen, General Motors and others start bringing their own long-range models to market.